Atlanta Foundations Inc. (AFI) is a concrete contractor with the ability to meet all types of concrete construction needs, both residential and commercial. AFI has in excess of 25 years combined industry experience. This longevity is testament to the quality we deliver to our clients. As a full service company, we are equipped and have the experience to complete projects varying in size and complexity. One of AFI's core values is to always provide our clients effort with integrity. We take extreme pride in completing a job well done, always aiming to exceed expectations. We use only industry proven methods and equipment, ensuring the safest and most effective results for each project. At Atlanta Foundations, Inc., our goal is to develop long term relationships. Communication, teamwork, and on-site supervision of projects from beginning to end are the keys to our success and your satisfaction. All projects are carefully planned, scheduled and financially managed in order to complete each one on time and on budget. Our high standards of craftsmanship combined with reliability and integrity yield a continuous list of satisfied clients. For additional information regarding Atlanta Foundations array of service options and how we can contribute to your project's success, please Contact Us. 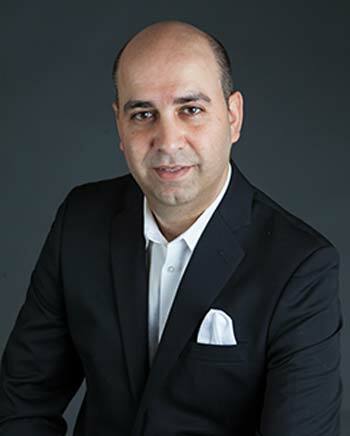 As an industrial engineer, Maziar possesses considerable experience in the construction industry and applies his extensive skillset in structural design, project management, quality control and erosion management to every client project. His primary goal is to combine this vast knowledge and technical expertise and use it to demonstrate leadership and be responsive to the needs of our customers. At Atlanta Foundations, we believe that doing good is good for business. Corporate social responsibility can have a real impact on the community in which we operate. Interaction with the community and “giving back” connects the two and allows our employees to lead and make a difference. Our commitment to this value is evidenced by recent events. 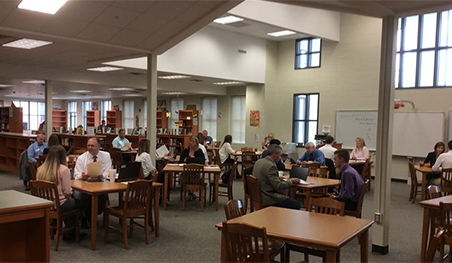 Our relocation to Forsyth County provided an immediate opportunity to engage with the community as part of Forsyth County Schools College & Career Development Program. AFI Staff participated in mock interview scenarios that help develop student readiness as they prepare to engage in college and career interviews. Montessori schools Touch a Truck events occur across the country in an effort to provide children a unique opportunity to learn about and safely explore trucks and machinery of all kinds. 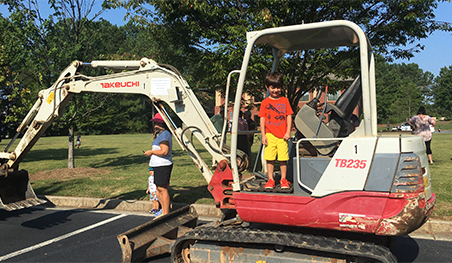 Atlanta Foundations participated in the Crabapple Montessori Touch a Truck event that teaches students how machines work and how they help in the community.